Academy Award winner Susan Sarandon narrates the remarkable, inspiring story of how a rugged pocket of America’s Pacific Northwest has endured 150 years of logging, mining, and dam-building to remain one of the largest strongholds of old-growth forest in the nation. The beautiful, scenic Klamath-Siskiyou eco-region, straddling the border between California and Oregon, is a wonderland of biodiversity and one of the world’s most important temperate forest regions. The tallest trees on earth grow here, and the greatest concentration of wild and scenic rivers in the nation tumble through the steep terrain. Filmed in more than a dozen wilderness areas and national monuments, A Wild American Forest showcases the Klamath-Siskiyou’s natural splendor and vividly illustrates why this area is recognized as a globally significant bioregion. Like the rest of the Pacific Northwest, the Klamath-Siskiyou bears the impact of more than a century of resource extraction. Yet a remarkable set of circumstances--including topography and a landmark court ruling preserving spotted owl habitat--has left the 20,000 square-mile eco-region with more than a third of its old-growth forest intact, a higher percentage than the Pacific Northwest overall. How this happened is explored in the film with the help of those who know it well, from scientists and foresters to an economist, Native Americans, and other local residents. But what will the future bring? Only one-fourth of the area’s old-growth forest enjoys full legal protection, putting the rest of it at risk. Salmon populations are on the brink of collapse here and elsewhere on the Pacific coast. A Wild American Forest reveals how creative solutions to these problems have been set in motion in the Klamath-Siskiyou, setting a precedent for the world. Written and edited by Diane LaMacchia. Music by Todd Boekelheide and Doug Prose. Produced and directed by Diane LaMacchia and Doug Prose. Filmmakers Doug Prose and Diane LaMacchia have been collaborating for seventeen years to create award-winning television documentaries and short films about the Earth. Twelve of their shows have been broadcast on PBS and some of them internationally. Diane and Doug work for the non-profit film production company, Earth Images Foundation, based in Oakland, California. Some of their titles include Wild South, Birthplace of the Caribou, Wild Secrets of Nevada, and Nanga Parbat: Naked Mountain. Doug began producing PBS documentaries in 1989. He was a geologist before that, studying human impacts on desert landscapes with the US Geological Survey. Doug’s passion for wilderness led him to produce films about the need to protect wild lands, and in 1992, he established Earth Images Foundation, whose mission is to produce educational films about the Earth and how people relate to it. In addition to producing and directing, Doug is the cinematographer for Earth Images. A percussionist and guitarist, he often creates and performs original music for the soundtracks. Diane began her filmmaking career in 1992 at the University of California, Berkeley, where she produced PBS science documentaries and short science films for general audiences. A world traveller from an early age, Diane enjoys exploring new places and complicated subjects and sharing her understanding with a broad public audience. She began collaborating with Doug in 1993 and became a full-time producer for Earth Images Foundation two years later. 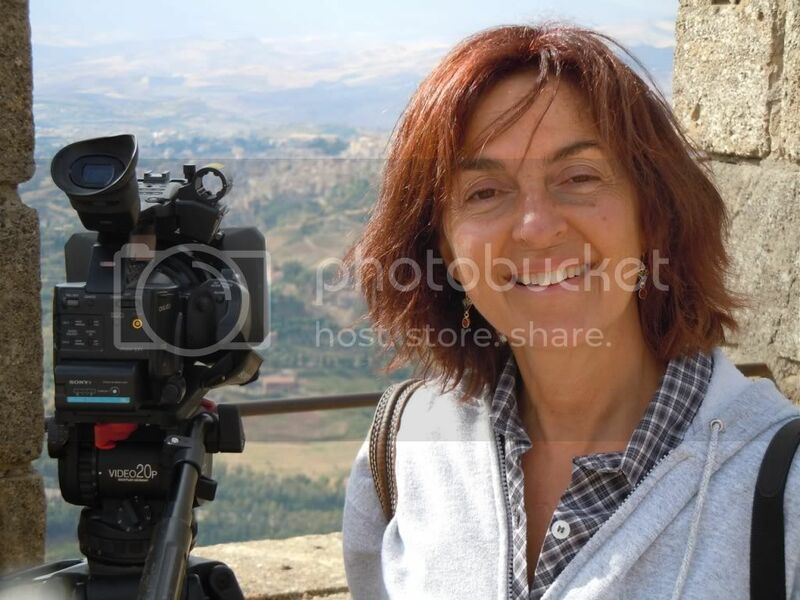 With a background in art and drama, as well as journalism and public affairs, Diane writes, produces, directs and edits Earth Images’ films. Diane and Doug’s productions have won many prestigious awards, including those from the International Wildlife Film Festival, the International Television Awards in Chicago, CINE Golden Eagle, Earthvision Film Festival, and the Columbus International Film Festival.